When we fear an event, situation or person…the fear is real…it exists “out there”…we are referencing something in the real world. But what happens when we fear our thoughts…our feelings and even our beliefs? Who are we referencing? Let’s take it even further and talk about our kids. If you’re a coach, let’s talk about your players…the principles are the same. What would happen to them if they started to doubt themselves…their thoughts and even their experiences. Insert your own commentary here…I’m sure there is plenty to go around. Unless you’re being chased by a tiger, wild dog or even a spider, you should never fear anything on the soccer pitch. So why do some kids become passive and scared on the soccer field? I’m pretty sure they’re not playing in the Amazon. Could it be their internal reality…their internal map of reality that no one sees…not even you the parent? Kids usually drop their heads when they make a mistake. Then they start with the negative self-talk, excuses and turn their energies against themselves. Not only kids…we also do it as parents. Babies thrusted into the world do not fear anything and live in a place of pure potentiality. Fear, limitations and being scared are emotions we learn. So how do our kids become passive and scared on the field? There is always an element of fear. Fear of failure, fear of rejection, fear of pain, fear of looking bad, fear of disappointing their parents, fear of being laughed at and the most important one of all…fear of not fitting in. These tormenting fears inhibit our children’s mind which reduces their motivation and desire to play the game. All these fears live in our children and if we’re not careful, we will miss them. Most fears do not exist in the real world, only in the mind. If left unattended, fear becomes more than just an emotion. It becomes a processing filter just like when you put your sunglasses on and everything becomes shaded. 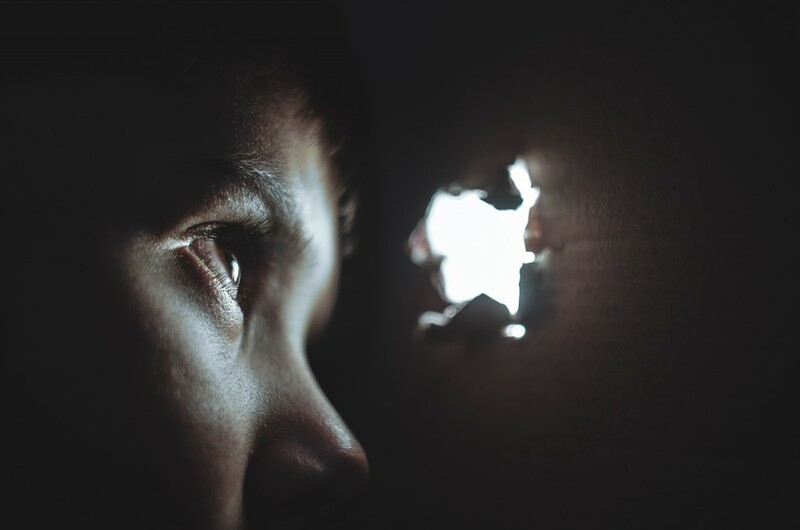 If your child is playing the game with fear…every drill, game and challenge becomes dangerous, threatening and even scary. Will your child develop with this mindset? When fear becomes the content of our thinking we inevitably become passive and scared. Next time you’re at training scan the team for passive players. You’ll be surprised what you’ll discover through the lens of love. We have to teach our children to fear some things because they don’t naturally fear anything. Certain hazards like electricity, fire and even a swinging door should be feared as we do not want them to learn by experience. But who is teaching them to doubt themselves…to second guess themselves and to limit themselves? Fear is an emotion to prepare us for danger. It’s an emotion that serves us and keeps us safe. It arises deep within our body…as a message that lets our body know how to react and ultimately creates a relationship. The relationship between two important facts about our everyday life and ultimately our existence. Have you ever stopped and considered how the world works? How we communicate with each other and how abstractions are taking over the world…along with corporate conditioning and global manipulation. You can communicate with the world in #hashtags now and use single words to explain what required pages. How does this happen? Believe it or not, it’s the way we have been designed. Our attention, focus, concentration can only absorb certain amounts of information, data or instructions. We tend to recognise what we know and discard the rest. If I mention the word “Muslim” here, every single reader will have their own reaction to the word. Just like any other symbol is used to communicate. It’s an abstraction…and your reaction is dependent on your beliefs, upbringing, conditioning and even your postcode. It’s just a word…a symbol used to communicate amongst humans. Charged…passionate emotions that inevitably do more harm than good if not controlled. This becomes the problem when you lack awareness…when you subscribe to what society wants you to believe as opposed to what you believe. The world is a funny place…you either experience it or you learn through communication, abstracts and symbols. I spoke about it in my previous post, “Soccer Knowledge through Deception“. What is your model of the world? Is it the same as your experience of the world? Are you living the way you want? Spending your time the way you want? When we use words to communicate we inevitably (whether we know it or not) attach emotions to words. The emotion we attach depends on what happens on the day, situation or in the environment. Kids grow up from a place of pure potentiality…they do not fear anything because they have been surrounded and protected by love. Speak to any kid and they will quickly tell you how they are going to play for their country. As they grow older, the dream diminishes and fades into the horizon never to be pursued. It’s not always playing ability that determines whether a player will make it or not. All kids grow up watching soccer on the television and fantasise about playing at the highest level. They watch the Nike commercials and get seduced by the glitz and glam. Their model of the world (in this case soccer), is one of glam, success and celebrity. They want it and they want it now! 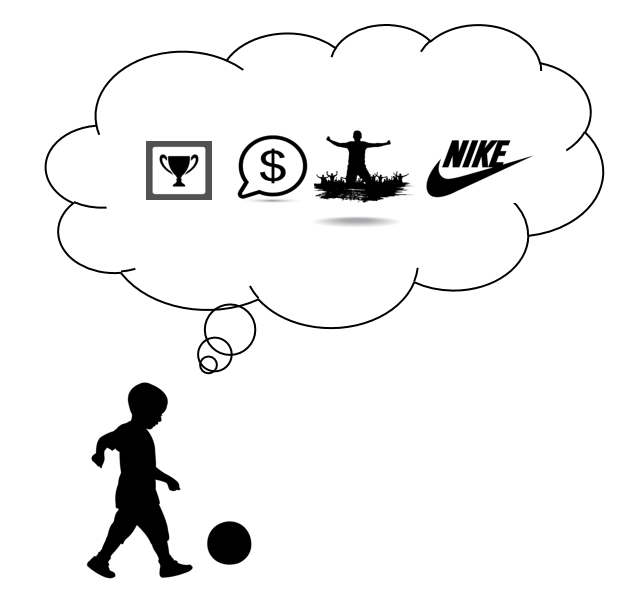 Their model of soccer is the same…one of money, fame and fortune. Their model of soccer has been influenced and shaped by what they’ve seen on television. Unfortunately for most young players, their soccer experience does not match their soccer model. Not only that, they need to understand why their model of soccer is not their reality. They need to question themselves and try to figure out why the gap exists between their model of soccer and their experience. This is why kids give up on their dreams…they have not learnt the importance of resilience. They subscribe to a soccer model that is only built to make corporate dollars. They need to keep their over-enthusiastic money hungry parents at arms length. Through the confusion…children will start to doubt their ability. 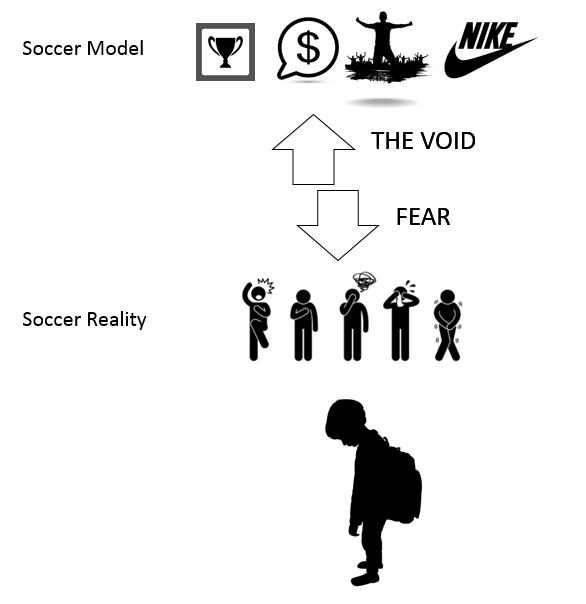 The gap between their soccer model and the reality they experience is the void that creates the fear. The feeling of uncertainty…the feeling of inadequacy…the feeling of not being “good enough”. Your child will never develop…never improve and will definitely not make the transition into a professional soccer player if he fears the game. So how do we close the gap and eliminate the void that creates the fear? If you need a reminder try these on for size and come back to this post. A soccer model that is wrapped and covered in love, relaxation and effort. Forget the hype and go back to basics. 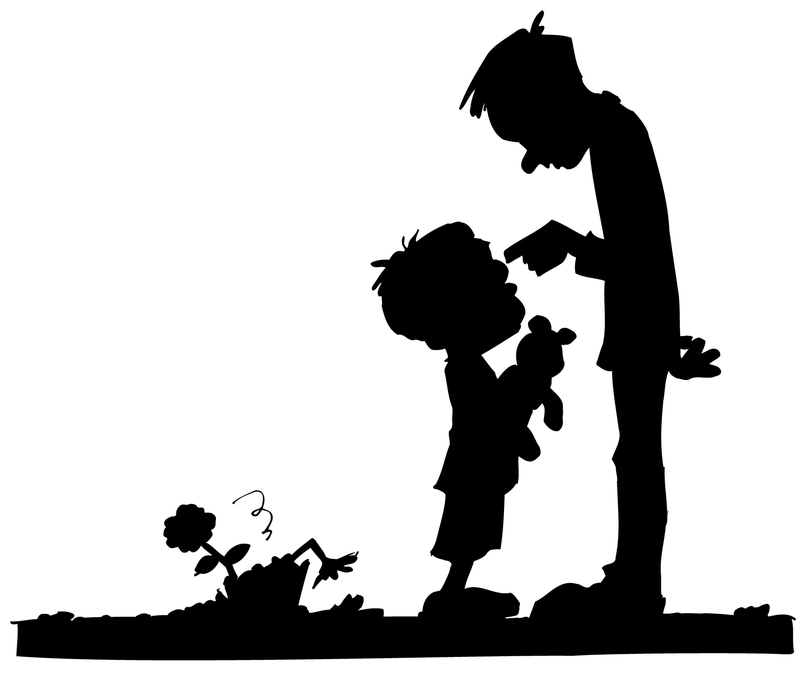 Praise effort….love your child and enjoy soccer for what it is…a game. If you change and re-frame the game, you change the meaning and expectations. Your child will create a new model of soccer which includes love, learning, effort and fun. What most parents do not understand is that a child’s “internal” reality is entirely governed by their map. If you change your soccer model and not subscribe to the norm…which usually means making a certain team by a certain age, you can free yourself from the soccer zombie apocalypse and concentrate on improving through resilience, effort and love. Can you always bounce back after defeat? Can you always try your best and give 100% effort? Do you friggin love your child? Then subscribe to this soccer model. No matter what happens on the soccer field I want you to keep going. If you get pushed down, tackled or hurt… I want you to brush yourself off and maintain 100% effort and focus. …and no matter what happens, win or lose, I love you so much. Your efforts always inspire me. Well done! This new model will eliminate the void and the gap that creates the fear in children. The model is one that promotes development and will allow your child to enjoy the game. With enjoyment, effort and training…anything is possible. 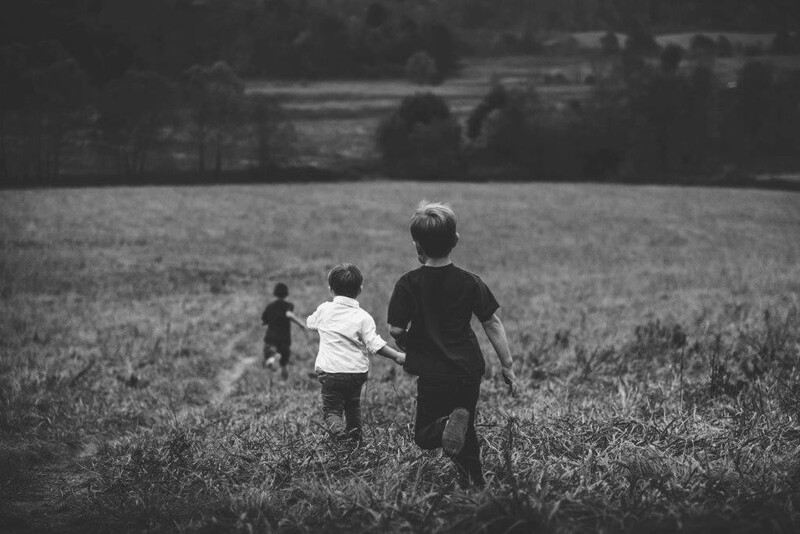 It’s human nature…in the state of fear we respond by getting away or running to safety. 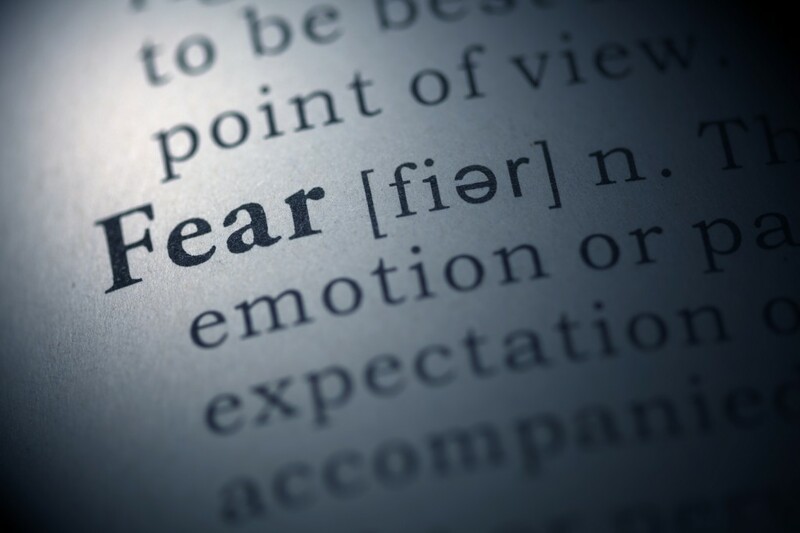 Our fear creates the passive-aggressive continuum in our behaviour and our communication. These emotions should never be associated with youth soccer. Both fear and anger are responses to insecurities. If you think about it…for every scared child exists an angry parent. Fear puts you in touch with your insecurities whilst anger hides your insecurities. Unless you’re being chased by a man yielding a swinging axe, your experience with fear is just a game. It’s a game made up of the little thoughts you have running around in your head. …thoughts that have been given birth through expectations, conditioning and the pursuit for that manufactured celebrity lifestyle. There is great freedom in LOVE. Wow, That is some amazing piece of article I really liked how you explained things above. Whenever someone is in the level of depression I will point them here and I am pretty sure they will find some peace after reading it. Totally in line with the what is being said in the about the coaching of soccer and how we need to rethink what we are doing. Fear created by coaching is something that should not be tolerated anywhere.